These Russian individuals did their work during the Obama years. Why didn?t Obama do something about it? Because he thought Crooked Hillary Clinton would win, that?s why. Had nothing to do with the Trump Administration, but Fake News doesn?t want to report the truth, as usual! Mueller is the BIGGEST LOSER OF ALL TIME! Mueller and Comey et al are fixers for Clinton - a bunch of lowlifes betraying the American people. Justice will be served on these criminals. Keep digging your hole little boys and girls. Prison is coming! The Mueller witchhunt continues to implode. What losers! I agree with Jo. Resigning would be great, but even better would be an admission the DOJ heavies are slime, but it just won`t happen. The BIGS and their MSM would banter to the cry, Trump made him resign. Didn`t Mueller release classified info to Rosenstein to release to the Public? But Congress was a tad ignored, the game they play, really cute. Uniformed GP will very likely see Rosy as some kind of hero, disregarding the facts of this slobs criminal acts, abuse of power. Obamas Former Director of National Intelligence Says Obama Behind Entire Russia Witch Hunt! The rats keep scurrying! They are trying to save themselves now. Typical of scumbags when they get caught. Losers. Mueller and little boys keep digging their hole. Judicial Watch is playing a key role in exposing the motivations and malfeasance behind the Mueller-Rosenstein attempt to undermine the Trump presidency. And President Trump is clearly aware of JW?s continuing success at ferreting out the truth ? despite the Deep State intransigence and cover-ups. Don?t look now, but the narrative is changing, and the media won?t like it. ? Tom Fitton and his folks at Judicial Watch (JW) performed a major public service yesterday, a service for which they will be excoriated by the entire Democrat Party and its propaganda wing in the fake news media. That?s because Fitton and JW just interfered with their ?Trump Russia? collusion narrative, and the Axis of Propaganda can?t stand to have its narrative messed with. JW released 412 pages of documentation supporting the sham FISA warrant the DOJ/FBI anti-Trump cabal obtained in 2016, a warrant that gave a sort of legal standing to its already-existing spying operation on the Trump campaign. The same documentation was used three more times to have the warrant renewed every three months as the anti-Trump cabal extended its operations to spying on the Trump Transition team and ultimately into the Trump Administration itself. So, what was the basis for this spying warrant? As the Campaign Update reported way back in December, pretty much nothing but the fake Trump Dossier that was compiled by British spy Christopher Steele, coordinating with Russian spies, and being paid by the Clinton Campaign and the Democrat National Committee (DNC). 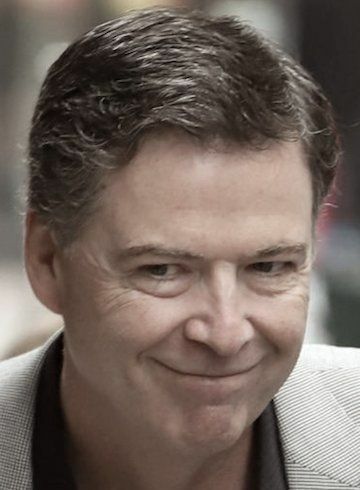 As ex-FBI Director and current teenage Drama Queen James Comey testified way back in early 2017, without the Trump Dossier there would never have been a FISA warrant. Given this corruption, President Trump should intervene and declassify the heavily redacted material.? Dershowitz: Trump-Cohen Tape ?Must Be Subjected to Forensic Analysis? We need to know the entire context of the tape if the tape needs anything. By the way, the tape does not contain any evidence of crimes.? Mueller is such a joke. No one as dishonest as he is should ever be in charge of any investigation. In fact, he and his buddies need investigating. Justice will not be served until this happens. Here is some flat out treason that should get these guys the firing squad! Fire any scumbag politician in the midterms who is supporting the treason of Mueller and gang! Enough! Manafort is being tried because the Democrats lost the election to Donald Trump. Talk about sore losers! This whole thing is appalling. Manafort was cleared 10 years earlier. By Rodney Rosenstein, of all people. If that is the case then this trial cannot be retired..., so I think his defense team would have made this claim already. That being said this is clearly an attempt to shake Manafort down to try and get him to turn on Trump. Man fort will be pardoned. The FBI did look into it several years ago, but decided that it was not worth pursuing. Didn't go to trial or anything. But now suddenly, the same set of circumstances is worth pursuing. Makes one wonder, doesn't it? I guess and hope Q has and answer to why or why he has allow this nonsense to go on? Robert, keep diggng your hole. Justice is coming to all of you unAmerican little boys. The people are awake. Mueller investigation a total fraud. A failed coup by traitors who are now outed and who continue to dig their hole. 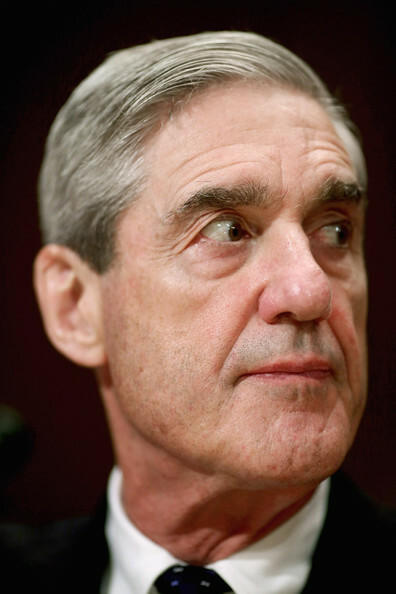 Its time to disbar these arrogant, unAmerican failed lawyers - Mueller boys. They disgrace the justice system! If Mueller isn't brought to justice there is no justice, this evil person has more to answer for than anyone will ever know, in this world anyway. Tech pro tip to Paul Manafort: Encrypting messages doesn?t mean much if your iCloud is backing them up. ... other messages were obtained not through the witnesses but through Manafort?s iCloud account, which prosecutors got a court order to access. Lanny Davis, the Clinton ally and former White House lawyer now representing Trump?s former personal attorney Michael Cohen, posted a tweet this morning suggesting that Cohen has incriminating material on Trump. PINGED: "Facebook admitted Tuesday that it allowed Huawei, a Chinese telecom company with alleged ties to the country?s government, to have special access to data about the social site?s users, an arrangement that could stoke fears that consumers? personal information is at risk," The Washington Post's Tony Romm reports. The news came as lawmakers on Capitol Hill continued to demand answers about deals between Facebook and device makers over the past decade. The FEC levied one of its largest fines ever against Obama's campaign committee, new documents show. Barack Obama's presidential campaign has been fined $375,000 by the Federal Election Commission for violating federal disclosure laws, Politico reports. An FEC audit of Obama for America's 2008 records found the committee failed to disclose millions of dollars in contributions and dragged its feet in refunding millions more in excess contributions. The resulting fine, one of the largest ever handed down by the FEC, is the result of a failure to disclose or improperly disclosing thousands of contributions to Obama for America during the then-senator's 2008 presidential run, documents show. But a more serious case of apparent misconduct involves Facebook data going to a different presidential campaign?this time in 2012. 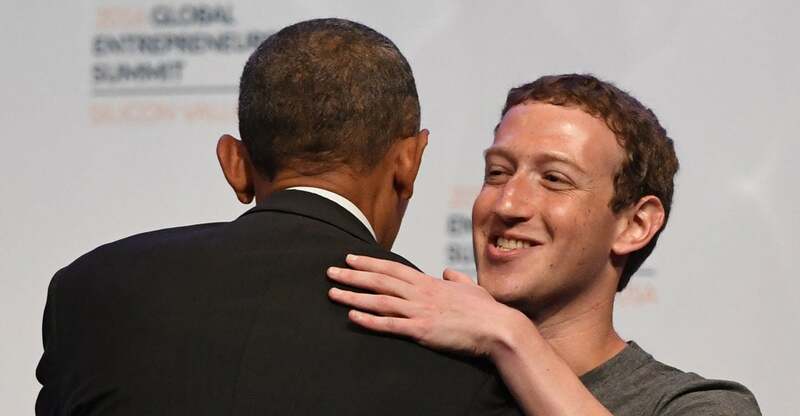 In this case, which is getting far less attention, Facebook reportedly voluntarily provided data on millions of its users to the re-election campaign of President Barack Obama. If true, such action by Facebook may constitute a major violation of federal campaign finance law as an illegal corporate campaign contribution. The matter should be investigated by the Federal Election Commission?an agency I am quite familiar with, because I served as one of its commissioners from 2006 to 2007. The commission enforces campaign finance laws for congressional and presidential elections. A federal law bans corporations from making ?direct or indirect? contributions to federal candidates. That ban extends beyond cash contributions to ?any services, or anything of value.? In other words, corporations cannot provide federal candidates with free services of any kind. Under the Federal Election Commission?s regulations, ?anything of value? includes any ?in-kind contribution.? For example, if a corporation decided to offer a presidential candidate free office space, that would violate federal law. Deputy Attorney General Rod Rosenstein, the official in charge of Special Counsel Robert Mueller?s Russia investigation, has verbally resigned to White House Chief of Staff John Kelly, according to one person familiar with the matter. The resignation was delivered to Kelly late last week, but it?s unclear whether Rosenstein is planning to follow through with a formal resignation, the person said. A second person said that Rosenstein isn?t expected to be in the job after Monday. The move comes after reports that Rosenstein suggested to colleagues last year that he would secretly record conversations with President Donald Trump. The departure of Rosenstein -- who named Mueller to be special counsel in May 2017 -- has enormous implications for the investigation and for the president. The resignation was reported earlier Monday by Axios. Rosenstein made the decision to name a special counsel days after he took charge of the Russia probe, which he inherited when Attorney General Jeff Sessions recused himself from the matter. Trump has mocked and criticized Sessions for doing so. Trump can install a temporary replacement as deputy attorney general until he nominates a successor to Rosenstein who would have to be confirmed by the Senate. the Justice Department has a line of succession that could let Solicitor General Noel Francisco assume control of the investigation. One question is whether that would be considered inappropriate given that Francisco is a former partner of the Jones Day law firm, which has represented Trump for years. As solicitor general, Francisco has staunchly defended Trump administration policies while pursuing long-held conservative legal goals. a twist of the knife ..
Jerome Corsi, a journalist known for pushing the Obama birther conspiracy theory, suggested on Thursday that he could face prosecution in the Mueller probe. On his daily webcast, Corsi became emotional at times as he cryptically referred to the ?extreme mental pressure? he has faced since being subpoenaed by Mueller. Corsi has appeared twice before Muellers grand jury. He expressed concern about what he foresee's coming down the pike. ?Thank God I?m still with the family, right now. I plan to be the rest of my life,? Corsi said during an hour-long broadcast of his web show. ?Don?t know if I can promise that given what I foresee coming down the pike.? Corsi, a former Infowars reporter, has appeared twice before a grand jury being used in the special counsel?s investigation of possible collusion between Donald Trump?s presidential campaign and the Russian government. Special Counsel Robert Mueller, the former FBI director leading the probe, appears interested in Corsi?s interactions with Roger Stone, the longtime Trump confidant who is said to be a target in the investigation. Corsi said that he has been under ?extreme mental pressure? since he first became involved in the investigation. ?I thought psychologically from time to time I was going to break,? he said. Corsi said Mueller?s team subpoenaed him on Aug. 28 and that he?s been ?constantly working with? the special counsel ever since. Corsi has met with prosecutors for numerous interviews and testified to the grand jury in Washington, D.C., on Sept. 21 and Nov. 2. On his daily webcast, Corsi became emotional at times as he cryptically referred to the ?extreme mental pressure he has faced since being subpoenaed by Mueller. He expressed concern about what he foresees coming down the pike. Thank God Im still with the family, right now. I plan to be the rest of my life, Corsi said during an hour-long broadcast of his web show. Dont know if I can promise that given what I foresee coming down the pike. Corsi, a former Infowars reporter, has appeared twice before a grand jury being used in the special counsels investigation of possible collusion between Donald Trumps presidential campaign and the Russian government. Special Counsel Robert Mueller, the former FBI director leading the probe, appears interested in Corsis interactions with Roger Stone, the longtime Trump confidant who is said to be a target in the investigation. The Telegraph adds that the UK's dispute with the Trump administration is so politically sensitive that staff within the British Embassy in D.C. haver been barred from discussing it with journalists. Theresa May has also "been kept at arms-length and is understood to have not raised the issue directly with the US president." geez oh but he's dead now right ? A longtime associate of late Arizona Senator John McCain leaked a copy of the infamous Steele Dossier to BuzzFeed News, according to a Wednesday court filing, according to the Daily Caller's Chuck Ross. The McCain fundraiser was held on March 20, 2008 at London?s Spencer House, billed as "London?s most magnificent 18th century private palace." The McCain campaign distributed an invitation indicating that the site for the luncheon had been provided "by kind permission of Lord Rothschild, OM GBE and the Hon. 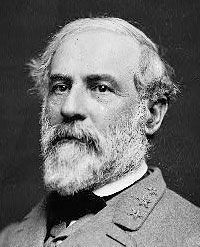 Nathaniel Rothschild," who are both foreign nationals. In statements to the press, the McCain campaign referred to the luncheon as a "fundraiser." Judicial Watch filed its complaint with the FEC on April 22, 2008, noting the McCain campaign, "may have accepted an in-kind contribution from foreign nationals Lord Rothschild OM GBE and the Hon. Nathaniel Rothschild of Great Britain in contravention of federal election laws." On April 29, 2008, ? one week after Judicial Watch?s complaint and 40 days after the event was held ? the Spencer House finally invoiced the McCain campaign for the event. The invoice was paid three days later. The Spencer House claimed the billing delays resulted from the fact that Spencer House "needed to consult with ?advisors? to ascertain whether Value Added Tax should be added to the charges since the committee is located in the United States." In examining the cast of FBI and senior Department of Justice (DOJ) officials fired, retired, resigned and under investigation since May 2017, the breathtaking scope of the FBI?s unprecedented criminal efforts to steer a presidential election and frame a newly elected president serves as Exhibit A for the organization?s disbandment. The ?leadership? that willfully and corruptly ignored Hillary Clinton?s criminal mishandling of highly classified information had no problem faking a counterintelligence investigation to smear and destroy President Trump. The group dubbed the ?Secret Society? by FBI lawyer Lisa Page in a text to self-anointed FBI ?Super Agent? Peter Strzok had a clear goal: Stop Trump. But how to do that ?legally?? How does one manufacture a phony Russia hoax and hang it around Trump?s neck when you?re constrained from going after his campaign, organization and staff? The FBI is specifically prohibited from penetrating and subverting U.S.
?No one acting on behalf of agencies within the Intelligence Community may join or otherwise participate in any organization in the United States on behalf of any agency within the intelligence community without disclosing his intelligence affiliation to appropriate officials of the organization, except in accordance with procedures established by the head of the agency concerned and approved by the attorney general.? That?s tough for the ?secret society.? Could they ? would they ? rely on Attorney General Loretta Lynch, and have her office generate a legal finding memo? An actual, discoverable, legal record detailing and authorizing an operation against a presidential candidate? Too risky on a few levels. ?Such participation shall be authorized only if it is essential to achieving lawful purposes as determined by the agency head or designee. No such participation may be undertaken for the purpose of influencing the activity of the organization or its members except in cases where: (a) The participation is undertaken on behalf of the FBI in the course of a lawful investigation; or (b) The organization concerned is composed primarily of individuals who are not United States persons and is reasonably believed to be acting on behalf of a foreign power.? That second portion of Section 2.9 was exploited by Strzok & Co to create the predicate for a foreign counterintelligence investigation overseas that would then be ?imported? back into the United States ? circumventing the prohibition on ?Undisclosed Participation in Organizations Within the United States.? Using this technique, Strzok & Co wouldn?t be offensively targeting the Trump operation to subvert his election and presidency. The FBI would now be ?reacting? to a foreign intelligence threat. Hence, we have the widely reported (FBI designed and orchestrated) events surrounding Carter Page, George Papadopolous, Stef Halper, Joseph Mifsud, Alexander Downer, et al. Super Agent Strzok even traveled to the United Kingdom (the safest ?Outside the Continental United States? [OCONUS] operating environment for the FBI) to grease the skids for a counterintelligence ?dangle? operation. The reader will recall Lisa Page?s December 2015 text message: ?You get all our oconus lures approved? ,? to Strzok. Having personally run double-agent operations as a counterintelligence case officer, I?m not guessing at this language and intelligence tradecraft. Thrilled with the initiation of their foreign counterintelligence investigation implicating Trump ?associates,? (and laundering the criminality of their end-run of ?undisclosed participation?) the secret society could launch full-bore with an array of techniques and tradecraft. Keep in mind that the FBI/DOJ never gave Trump a ?defensive security briefing? that is standard when FBI/DOJ comes upon a foreign counterintelligence threat to a U.S. organization or corporation. Never. Not coincidentally, the ?Trump Dossier? appears on the scene ? thanks to Hillary Clinton and Democratic National Committee funding, via a couple of cut-outs, to actual Russians (a crime actually worth investigating). Next come the Foreign Intelligence Surveillance Act warrants, predicated on Hillary?s mercenary?s lies. reports (?302s?) in the related framing of LTG Mike Flynn. Is there anything the FBI/DOJ leadership wouldn?t do to stop Trump? Here?s the big picture: there are the crimes described above ? and there are the crimes to facilitate and then cover-up the underlying activity. That?s where the FBI got lost. It?s gone. No sensible American believes in the organization anymore. The DOJ is right there with them. Compromised, arrogant, ruthless, vindictive, detached, self-righteous, hypersensitive to criticism and largely immune. A fish rots from the head down. Go back and read the FBI/DOJ Litany of Shame. Review Comey?s arrogant, smug, Flynn-interview statement: ?something I probably wouldn?t have done or maybe gotten away with in a more ? organized administration.? The answer is to create an investigative division within the U.S. Marshals Service and laterally transfer over vetted, honest FBI agents. Collapse the decayed wreck of the FBI within six months and hope the American public can once again believe in ?Equal Justice Under the Law.? Giuliani Challenges Mueller ? ?Put Up or Shut Up? During a Sunday interview with John Catsimatidis of New York AM 970 radio?s ?The Cats Roundtable,? President Donald Trump attorney Rudy Giuliani slammed FBI special counsel Robert Mueller?s ongoing investigation into Russian collusion, challenging Mueller and his team to ?put up or shut up.? Giuliani said Muller?s team does not have ?a damn thing? and are ?embarrassed? to submit a report with no evidence of collusion. It should have been wrapped up probably in May or June. That?s when they figured out they had no evidence of collusion, no evidence of conspiracy to hack. Collusion is not a crime, by the way. I don?t even know why they?re investigating it. It?s not even a crime. You have to show a conspiracy to hack. They don?t have any evidence of that ? which is the reason they don?t submit a report, because they are embarrassed. ? So, I am challenging them: put up or shut up. It?s time for them to submit a report. They can do it to the Justice Department. They should allow us to read it as they promised. If I?m wrong, I?ll apologize. But I know I?m not wrong. They don?t have, as we would say in New York, a damn thing. I think it?s a disgrace what they?re doing. Most torture during this "Dutch Inquisition" was an attempt to convince prisoners to implicate their fellow believers. Some Anabaptists would give names of those who had already died or fled the country. Others refused to name any names at all. As one said,"If the devil comes upon the first step, he also comes higher." Others lost their resolve on the rack and some of these denied their faith. Usually, apostates would be punished less severely - by being beheaded instead of burned alive. And once again Kimberley Strassel - who by now has become the focus of social media attacks for her truth-seeking reporting - does it again. Confirming what we detailed yesterday - that The Justice Department was fully aware that the notorious Steele Dossier was connected to Hillary Clinton and might be biased, a crucial detail which was omitted just weeks later from the Foreign Intelligence Surveillance Act (FISA) warrant used to spy on the Trump campaign - Strassel makes the aggressive and correct statement that the Justice Department official?s testimony raises new doubts about the bureau?s honesty. Everybody of consequence at the Federal Bureau of Investigation and Justice Department understood fully in the middle of 2016 - as the FBI embarked on its counterintelligence probe of Donald Trump - that it was doing so based on disinformation provided by Hillary Clinton?s campaign. That?s the big revelation from the transcript of the testimony Justice Department official Bruce Ohr gave Congress in August. The transcripts haven?t been released, but parts were confirmed for me by congressional sources. How do we save the Trump presidency from the swamp that he is surrounded by? If we cannot depend on Trump, how do we spread the word and take back our government if people like us are shadow banned? Former Secretary of State Hillary Clinton facilitated the transfer a highly enriched uranium (HEU) previously confiscated by the U.S. Department of Energy (DOE) during a 2006 ?nuclear smuggling sting operation involving one Russian national and several Georgian accomplices,? a newly leaked classified cable shows. It proposed that FBI Director Robert Mueller be the one that personally conduct the transfer a 10-gram sample of HEU to Russian law enforcement sources during a secret ?plane-side? meeting on a ?tarmac? in the early fall of 2009. The FBI Director was originally scheduled to ?return? a sample from the DOE stockpile to the Russians in April but the trip was postponed until September 21. But possibly even more shocking is the fact that the State Department wanted the transfer of the HEU to take place on an ?airport tarmac? which is rather reminiscent of the infamous Loretta Lynch/Bill Clinton meeting which occurred on a Phoenix, Arizona, tarmac back in June of 2016.